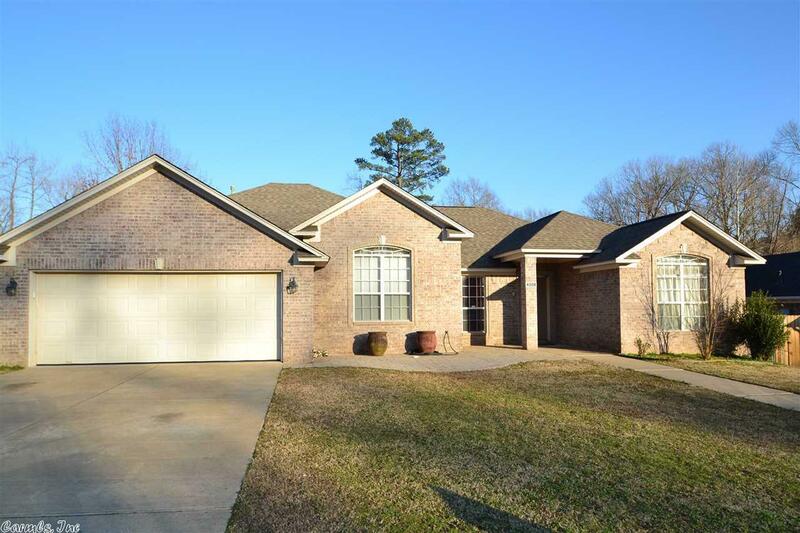 Lovely home in Bryant's Stoneybrook Subd. Extra large GR has gas log FP. DR being used as office. Well designed Kit w/Breakfast Bar, lots of cabinets & counterspace. Built in ice machine is a plus!! Large MBR w/tray ceiling & adjoining MBA w/French doors. Spacious BR has walk-in closet plus huge linen closet, 2 vanities, jetted tub & sep shower. Two additional BR's & BA. Covered back porch overlooks fenced yard w/large stor bldg, above ground pool w/new liner & swings. Roof 4 yrs old. SEE AGENT REMARKS.